The Brazil international started the season with back-to-back starts in the Premier League but he has since fallen out-of-favour with the occasional start in cup competitions. According to The Mirror, the Hammers are seeking to pursue a temporary move for Pereira at the turn of the year with the midfielder understood to be frustrated with his proceedings at Old Trafford. 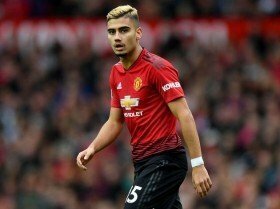 Pereira currently has a contract which expires at the end of the season but the club are expected to trigger a one-year extension in the near future to offer them until the summer to decide regarding his position with the club. United's season suffered a new low on Sunday afternoon where they suffered a gruelling 3-1 defeat at the hands of Liverpool. The loss has now dropped them 11 points behind the top-four positions after just 17 games into the season.